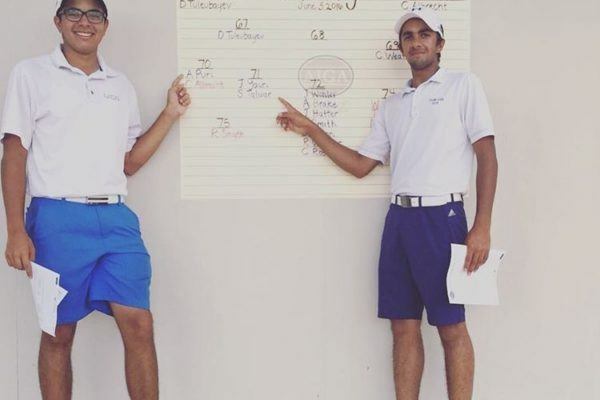 With the fall golf season underway, International Junior Golf Academy students and alumni will be competing in tournaments across the country over the next few months. Keep reading to find out who’s competing this weekend! 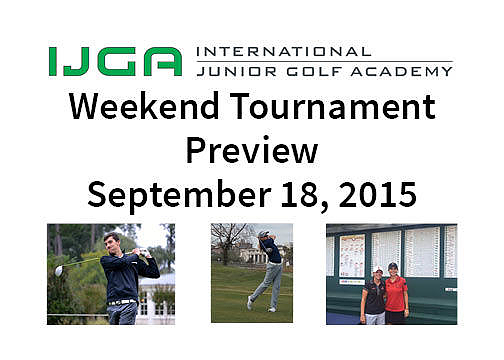 Many IJGA students will be competing in the International Junior Golf Tour’s Southeast Kickoff at Crescent Pointe on September 19-20, 2015. Students will be competing for AJGA stars, Golfweek rankings and Junior Golf Scoreboard rankings during the two-day, 36-hole event. IJGA students will have a home-course advantage as Crescent Pointe Golf Club is one of the IJGA’s five partner courses where students practice regularly. 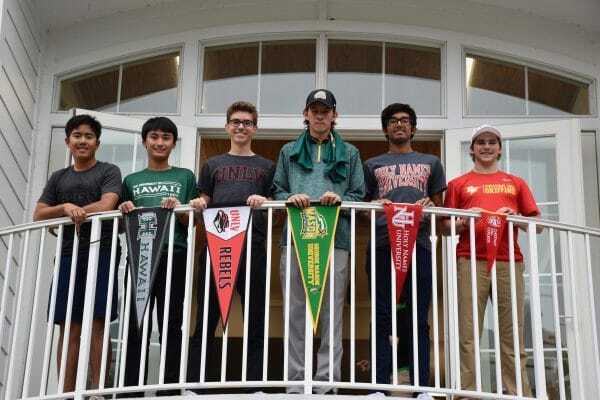 Students who will competing in the Boys 15-19 Division of this local tournament include Liam Kent, Prince Phuklabsawan, Lino Galdin, Sharad Arora, Yo Trirattanapipat, Konosuke Takahashi, Ray Ahn, Colton Tanner, Jason Hijazi, Kyle Ash, Saptak Talwar, Alex Guillen, Ryan Pongrac, Santiago Diaz, Aniruddh Kedlaya, Brock Erwin, Punya Khanna, Trent Hope, Arjun Puri, Marc Groenhuysen, Max Sanchez and Jim Ji. Betty Horaney, Kayla Kozak, Linda Trockel, Haruka Shintani, Angela Aung and Melany Chong will be representing the IJGA in the Girls Division. Chase Phillips, Noah Levine and Adam Zou will be competing in the Boys 14 & Under Division. Shiso Go will be competing in the Bobby Chapman Junior Invitational this weekend. The two-day, 36-hole event will be hosted at The Country Club of Spartanburg in Spartanburg, S.C., on September 19-20, 2015. Go earned a spot in the competitive 84-man field with his third-place finish in the Sea Pines Junior Heritage in February. As for IJGA alumni, Ayaka Nakayama (University of Central Florida) and Laura Restrepo (University of Louisville) are currently competing against each other in the Mason Rudolph Championship. The three-day, 54-hole event is hosted by Vanderbilt University in Franklin, Tenn., on September 18-20, 2015. Ana Ruiz (Oklahoma University) will be competing in the Schooner Fall Classic on September 19-21, 2015. The three-day, 54-hole tournament will be hosted by the University of Oklahoma in Norman, Oklahoma. Once a tournament is underway, click on a competitor’s name above to see his/her scorecard. To find more information about a tournament, including tee times and results, click on the event name above. 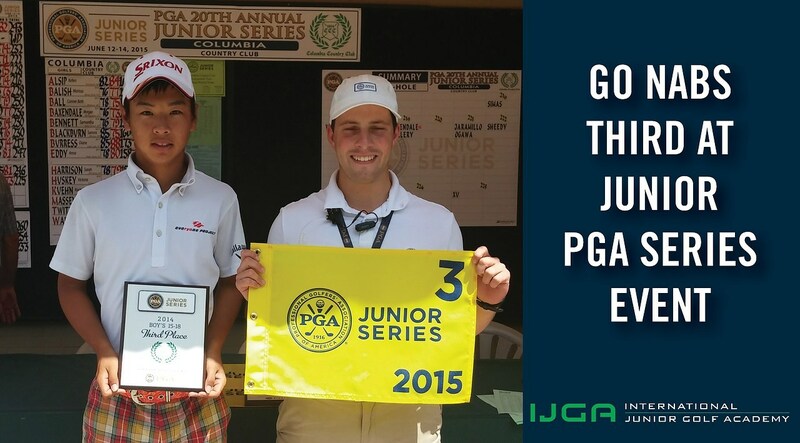 Best of luck to all of the IJGA students–past and present–competing this weekend!